As corporate vice president for the One Commercial Partner business, Gavriella Schuster leads the Microsoft partner business strategy, across all commercial partners. 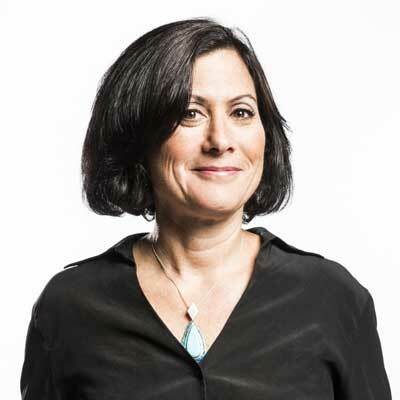 Her organization is responsible for managing the partners as well as leading initiatives and programs globally that enable partners to build IP, services and profitable businesses, and deliver solutions that empower customers to digitally transform their companies and realize greater business value through the use of technology. Gavriella has extensive experience in sales, marketing, product management, and partner development with a strong track record of managing customers, partners, and teams. She has worked across multiple parts of Microsoft's business from managing sales and marketing teams across the Server and Cloud business, the Windows Client Commercial business, Enterprise Services, licensing, business development, training initiatives, segment marketing, and global operations. Equipping Microsoft's network of 300,000 partners for digital transformation takes an incredible investment in business and technical enablement. With our Cloud Practice Partner Enablement program we are giving partners of all sizes the tools they need for success. It starts with the Azure Skills Initiative, which has trained 160,000 people who have amassed 540,000 training hours. We also developed, Cloud Profitability Playbooks (digital and print) to give partners specific actions for success in the cloud. To date, we have tracked more than 500,000 downloads. Another element of our effort to equip partners is with Smart Partner Marketing tools/resources. We provide marketing recommendations for businesses, based on IDC research and the insights and best practices of more than 1,000 successful Microsoft partners. 125,000+ partners have utilized the offering to date. We specifically target organizations with approximately 100 employees. The marketing tools have been added to our partner-facing website, which sees more than 1M visitors a month. The Smart Partner Marketing offerings are now available in 10+ languages. To round it all out, Microsoft is connecting all of these resources via a revamped partner portal, where partners can easily research cloud solution areas and design/build their own practice in any solution area. With the advances in Artificial Intelligence technologies from Microsoft along with the increasing need in the market, Microsoft will embark on developing a partner to partner marketplace to enable partners to build on each other's value as we compose value on site with our customer's by unlocking their data estate to new forms of analytics, AI and enable them to take action against the valuable insights they obtain to build new products and businesses. Gavriella was just named Channel Partners 2018 Channel Influencer of the Year. She was also included in CRN's Power 100: The Most Powerful Women of the Channel 2017. She was also listed in CRN's Top 25 Channel Sales Leaders of 2017 and in 2017 Channel Chiefs: The 50 Most Influential. Maya Angelou. She was an inspiration and inspired thousands of people with her literary beauty. Maya developed a love of truth, stood for civil rights, enjoyed life itself and recorded the experience through her words. She promoted self-examination, equality and friendship. Her beliefs and core values came through in all the she did as she brought people together through her words and her actions. She lived a rich life, pursuing her dreams, standing up for herself and others and creating new opportunities. I am personally inspired by her many acts of courage and words of wisdom. You are more capable than you believe yourself to be. If you continue to give your best and be a better person tomorrow than you are today, things will have a way of working themselves out. If you expect the best of people you will get the best. Remember to pay it forward with those you meet - to offer them your time, over credit them for the help they provide you and go out of your way in service of others. I would become a data scientist and would master big data using powerBI. Getting a handle on all of the data that I need to see and use and being able to turn that into predictive analytics to drive my business without being dependent on anyone else to build it for me would give me instant access to all of the insights I need to be a master at my business. The Platform Revolution by Geoff Parker, Marshall Van Alstyne and Sangeet Choudary. The book follows several companies that have pursued platform strategies and how to transform your business utilizing the network effects and the new demand economy. As we explore ways to further engage partners with each other and with our customers, enabling our partners to utilize these strategies is highly relevant.